MOSCOW: Russia said Friday that the US and its allies have relied on fabricated evidence to accuse the Syrian government of launching chemical attacks against civilians. Russia’s foreign and defense ministries also charged the international chemical weapons watchdog with failing to objectively investigate the alleged chemical attacks and with being subject to political control. 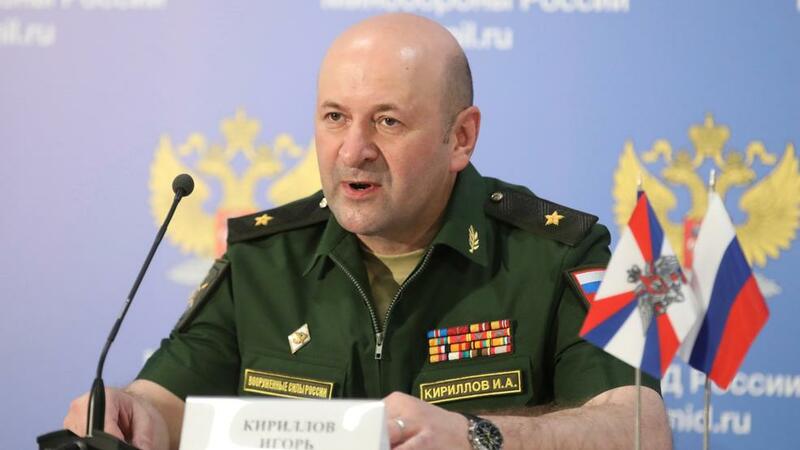 Maj. Gen. Igor Kirillov, the chief of the Russian military’s radiation, chemical and biological protection unit, said investigators from the Organization for the Prohibition of Chemical Weapons had failed to visit the sites of alleged use of sarin and chlorine, and trusted evidence produced by activists, which he described as rigged. Syria has rejected the accusations of chemical attacks. “The US, Britain, France and their allies have misled international community … relying on fabrications to accuse Syria of violating the chemical weapons ban with Russian assistance,” Kirillov said at a briefing. Kirillov scoffed at the images of massive gas canisters activists said were dropped by government helicopters in the purported chemical attack on the town of Douma just outside Damascus on April 7. “Surprisingly, the 100-kilogram canisters left tableware and furniture undamaged, and even a bed on which the canister fell was intact, signaling that the canister was dragged into the room, as indicated by signs left on the floor,” he said. The alleged use of chemical weapons in Douma triggered a punitive missile strike by the US, Britain and France that Russia has condemned as a violation of international law. The OPCW’s fact-finding team is not mandated to apportion blame. A joint UN-OPCW team that was tasked with determining blame for such attacks no longer exists after Russia, a close ally of the Syrian government, last year vetoed a UN Security Council resolution to extend its mandate.